This beautiful country home is ready for a new owner. The home features 4 bedrooms 2 bathrooms. and an acre of land. You will find many features and updates to the home. Many were completed over the last 2.5 years. New roof installed in 2016, laminate floors, carpet in bedrooms, tile in bathrooms granite counters in the kitchen, new light fixtures throughout, exterior stucco and paint. The acre of property gives you plenty of room to make your yard the dream you have always envisioned. 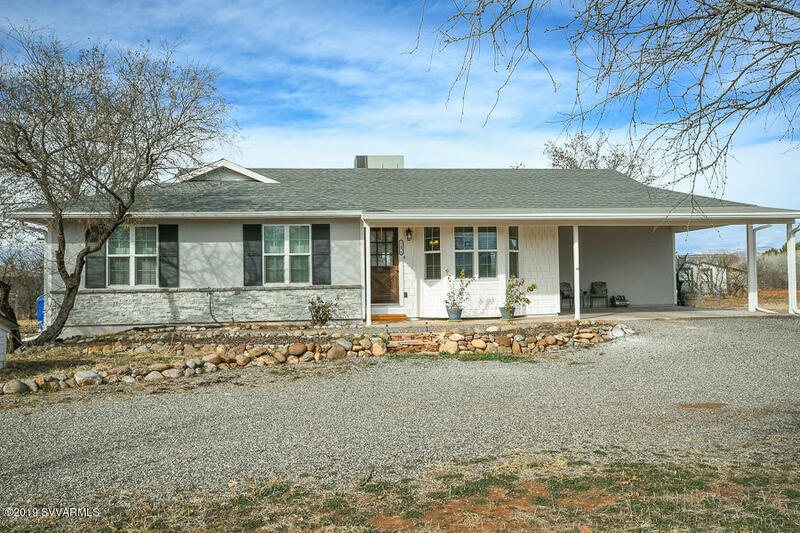 This home is centrally located in Cornville and a quick drive to Sedona, Cottonwood and surrounding towns. Schedule your showing today.